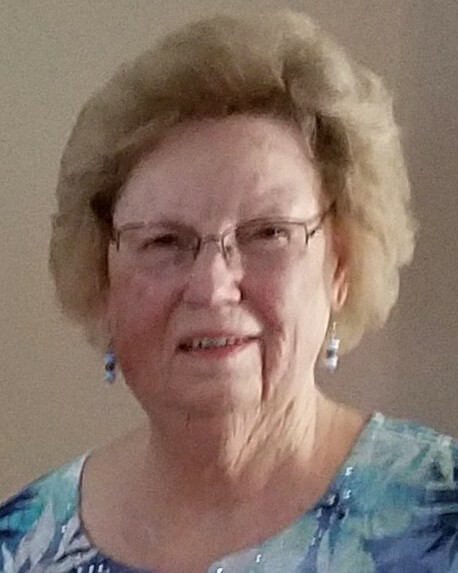 Hilda Hayes Barnes, 86, of High Point, passed away February 5, 2019. She was born February 22, 1932, in Four Oaks, NC, to the late Carlie and Annie Hayes. Hilda was known as a great prayer warrior by her family and friends and was a member of The Mission Community Church in High Point. She enjoyed her weekly visits with The Card Ladies. A loving mother, grandmother and sister, she will be deeply missed. In addition to her parents, Hilda was preceded in death by her husband, Dennis Barnes; and sister, Rena Langdon. She is survived by her two daughters and their husbands, Connie and Gary Mathe of Reidsville, NC, and Vickie and Bill Rountree of Elkin, NC; two sisters and their husbands, Mildred and Daniel McLamb of Clayton, NC, and Thelma and Bill Gay of Archdale, NC; brother-in-law, Walter Langdon of Clayton, NC; five grandchildren, Jennifer Vaaler, Lauren Pless, William Rountree, Katie Zimmerman and Kristopher Rountree; and three great grandchildren, Harper Rountree, Magnolia Pless and William Taylor Zimmerman, IV. The family will receive friends on Friday, February 8, 2019, at Cumby Family Funeral Service in High Point, beginning at 10:00 am until the funeral service at 11:00 am. Interment will follow at Guilford Memorial Park. In lieu of flowers, memorial contributions may be made to Helping Hands Food Ministry or The Mission Community Church, 2301 S. Main Street, High Point, NC 27263.